Vintage Colour Embossed Old Postcard. 1915. 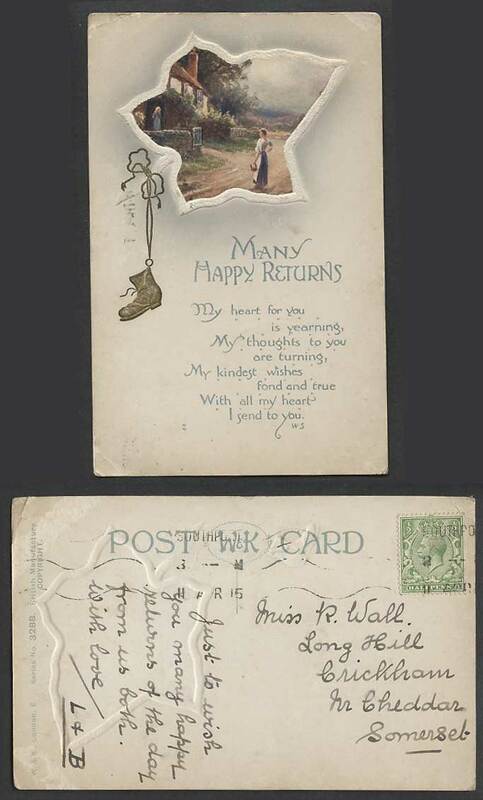 Many Happy Returns, Cottage House, Street Scene, a Boot Shoe Hanging from a Leaf. Greetings. Publisher: W. & K. London E.